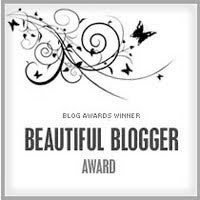 This is a blog award from a very talented and generous lady called Lorraine. I have never received an award before and as all recipients of awards do I would like to make a little speech. I have to list 7 things about myself. 1 I have 2 very talented children. 2 I have been with my partner for 22 years. 3 I take a size 9 shoe. 4 I am very organised at work but not at home. 5 I love blog hopping and looking at other peoples work. 6 I bought a Bind it all at Christmas but haven't used it. 7 I enjoy playing with my Craft Robo. I now have to pass this award onto 15 other people. who have already received it. The people listed below have left comments or given me inspiration from their blogs. Congrats on your award! and Thank you so much for mentioning me on your list!